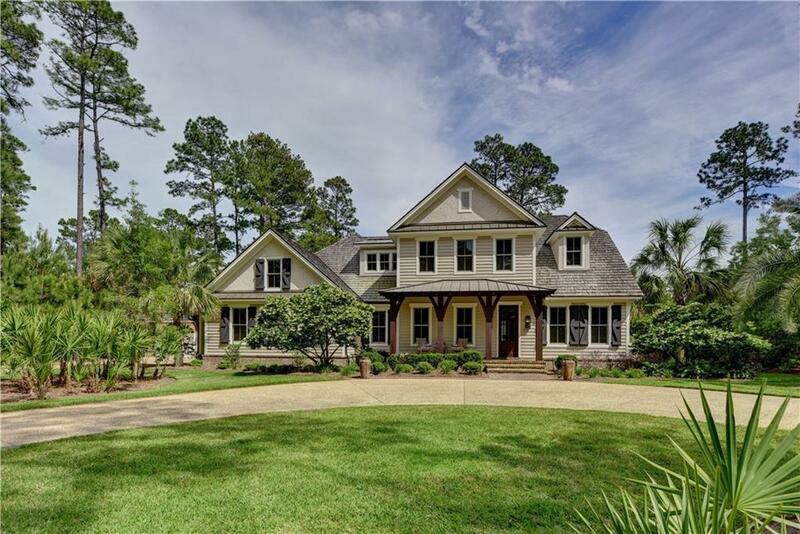 Lowcountry charm abounds in this beautiful lakefront home offering custom features and an inviting floor plan. Elegant simplicity is represented throughout with touches of painted shiplap siding, Circa lighting, hardwood floors, wood beam ceilings in the living room and screened terrace, solid wood doors and floor to ceiling windows offering great light. The first-floor master retreat, study and guest suite allow for one floor living. Open kitchen offers gas cook top, double ovens, two dishwasher drawers, center island, butlerâs pantry and great storage. The living and dining rooms overlook the screened terrace with wood burning fireplace and serene lake views. Two generous guest suites upstairs along with a computer nook and bonus room that can be used for a 5th bedroom, media or play room. Two-car garage along with a separate one car garage, storage systems and sink in the garage as well as a built-in dock to enjoy boating and fishing. This home offers many custom features. Directions: Access To Frederica Is Arranged Through The Frederica Real Estate Office: Take Frederica Road North To The Roundabout And Take The First Right Turn Onto Lawrence Road. You Will See The Frederica Stables On Your Left. Take The First Left Hand Turn Into The Stables Property. The Real Estate Office Is Located On The Stables Property. 1321 Pikes Bluff Road Is In Popular Phase V, Close To The New Residents' Entrance, At Frederica.